We have our next audiology appointmet tomorrow morning, meaning today was the last day Baby H had without hearing aids. I feel quite emotional about it. Tomorrow she will hear things she has never heard before. From tomorrow she will begin to wear something that may act as a daily reminder of our birth trauma. Tomorrow we begin the long journey to ensuring that our wonderful chatty, happy girl gets all the opportunity she needs to develop speech and listening so that she can continue to talk her happy talk to us, and the world, and be understood. There are both practical and emotional elements to this new element of our lives that we can only begin to appreciate. In the scheme of everything she’s been through, and overcome, it’s nothing. But it still feels a little like standing on the edge of a cliff. 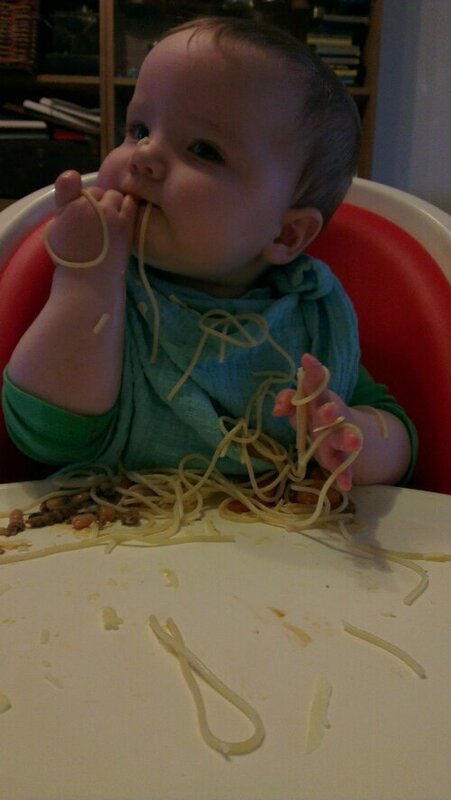 This entry was posted in Baby H, Being a Mum, Hearing Loss and tagged Baby H, baby led solids, baby led weaning, birth trauma, BLW, deafness, hearing aids, hearing loss, high frequency hearing loss, sensori-neural. Bookmark the permalink. Staying in is the new going out?